Heading the direction addressing of this matter that has been bugging the startup, easyParcel is the first web based courier delivery platform and e-commerce shipping solution provider in Southeast Asia. EasyParcel provides web-based courier services that allow users to check for delivery rates and book for delivery services from multiple courier companies in Malaysia. 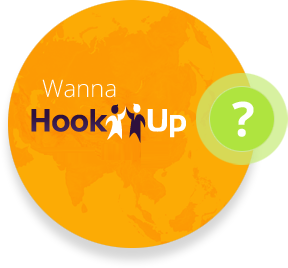 “EasyParcel is like booking.com for hotels. We are for courier services,” Clarence Leong, CEO/ Founder of Exabytes Venture told us. EasyParcel is a web based parcel consolidator founded on the principle to provide the best E-Commerce shipping solutions. A simplified shipping platform on which businesses can book any manner of consignment for delivery at prices they can’t achieve themselves, our services cater for a massive variety of shipments and delivery needs. 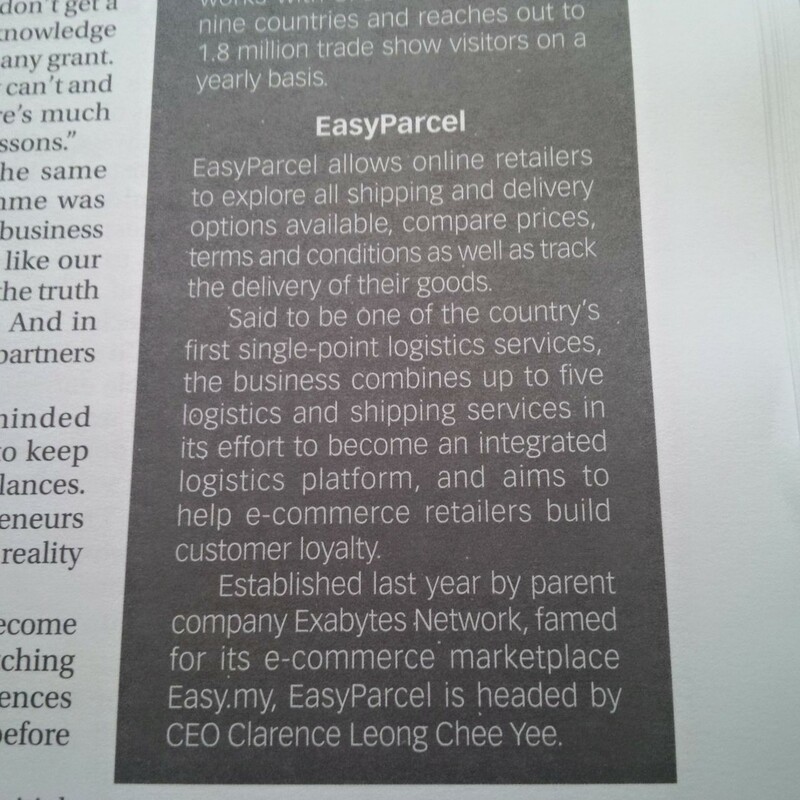 EasyParcel is co-founded by Chan Kee Siak (founder of Exabytes Network) and Clarence Leong (founder of EziVoucher). easyParcel had a Beta launched in the late April 2014 and a soft launch on June 2014. During the soft launch, they managed to attract a few thousand early bird registrations and grow its customer base by over 150%! “We understand that high shipping cost will turn your customers away while the normal mail service will take a long time to reach your buyer. Most of the courier companies require company registration, office address and a monthly committed volume in order to use their services,” Clarence informed us. To counter these complications, EasyParcel provides an easy solution to it by doing everything online. “Process flow of getting something done has been evolved simpler especially with the introduction of the generation Y that are born closely connected with the IT era,” he added. At EasyParcel, we believe all businesses and startups require professionalism, great knowledge and experience to succeed. E-Commerce would enable a traditional business to expand indefinitely as it is borderless, limitless and fully automated. And that’s where EasyParcel comes in, to provide an intelligent system, effective E-Commerce tools, knowledge and consultation to your business to expand and flourish effortlessly with minimum risk. The company behind EasyParcel is Exabytes Venture Sdn Bhd, a member of The Exabytes Group, and a subsidiary of Exabytes Network Sdn Bhd, the number 1 website hosting provider in Malaysia with 14 years of solid experience in E-Commerce. Describing EasyParcel corporate culture is never an easy task as it differs from the majority of “mainstream corporate culture”. With over 100 members of staff under the umbrella of The Exabytes Group, it’s the special and unconventional corporate culture that bonds us and brings us to what we are today. As an E-Commerce industry veteran, we are not only well versed in every facet of E-Commerce, we are also passionate for helping our clients to achieve success. We have strong commitment to assist our clients to excel in E-Commerce by offering the best knowledge and solutions in delivery. As a service-oriented company, Exabytes Venture espouses one service maxim for all of us: Our products might not be 100% perfect, but we guarantee that we will serve our customers until they are 100% satisfied. No matter if it is Customer Service, Technical, Business Development or Design, we have the same value set - that customer is always first. While we at Exabytes Venture treat each other with respect all the time, we never forget to remind ourselves to always treat our customers likewise because without customers, Exabytes Venture will have no reasons to exist. With the strong conviction, our top priority is always to treat our customers with the highest respect. Moreover, we believe that when respect is in place, customer trust will automatically be enhanced. At Exabytes Venture, we believe that we should take the initiative to do more than what is expected by the customer. A very good example is that our customer service and technical support team who often offer extra assistance and suggestions to the issues experienced by customers even though their requests are beyond the scope of our services. It’s true that at Exabytes Venture managers and subordinates behave like friends rather than superiors and subordinates, and it is common for subordinates to joke or poke fun at managers or even the CEO and vice versa outside the meeting room or on Facebook. It's a very light-hearted working environment, with no undertones of Authoritarianism. The ordering process is simple and basically takes around a couple of minutes to complete. First you have to pick a courier service after choosing a ‘to and from’ location for your parcel along with the weight of the parcel. Then, you schedule the pick-up date and submit the collection and delivery address. Lastly, you will need to submit the payment confirmation and pick up arrangement, and you are done! So if you have a parcel booked on Monday, it will be collected by the courier service the next day and your receiver will be able to get hold of the parcel on Wednesday, simple as that. Plus, sender will be able to choose multiple courier services in a single order and also track all shipments at a glance. “Sourcing for competitive shipping rate and secure delivery service for buyer can be very challenging,” he added. EasyParcel provides an excellent delivery solution from you taking an order to the final delivery to your customers at the best and the lowest shipping rates from our top-notch courier partners. With just a few clicks of your electronic device, your selected courier provider will come to your home or workplace to collect your parcel. All orders are processed automatically with our courier partners through EasyParcel website. With just one single account, customers gain competitive advantage in delivery costs as they can compare and choose the best delivery rates provided by multiple courier service providers. Unlike traditional courier service, which requires you to fill out the air waybill manually, with EasyParcel your air waybills are auto-generated. Everything is so hassle-free and efficient! Customers of EasyParcel enjoy the flexibility of booking parcel delivery anytime and anywhere without any constraints on time and location. Our system keeps a record of all the addresses you have used before so that you can grab an address and other details from your Address Book when placing your next order. As everything is automated, customers can now complete their A – Z delivery needs in a much more efficient way under one roof. They save time and money, and most importantly, gain business competitive advantage.